So, what do we all think of the wise and powerful king? 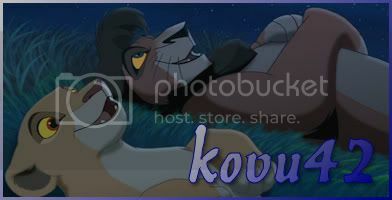 I think Mufasa was the best king, everything about him is just so kingly XD I looove Mufasa, he was just so cool! Life's not fair is it? Mufasa is one of the best lions ever... Wise, powerful, the epitome of what a King Lion should be and I just think he's totally awesome! A perfect king. TLK would have been better with more scenes with him before he died though. There's the unfortunate part of storytelling, although we'd LOVE to see much, much more of Mufasa, the story would never end up going anywhere... It would be nice to just have like a "diary" almost, just of Mufasa being king and fathering Simba. Well they had about 4 scenes with him, lol. There coulda been a little more !